As of now, this image is no longer just a pretty scientific illustration. It is also a precision medical tool that can improve the success rate of innovative cancer therapies and thus change the lives of thousands of patients. 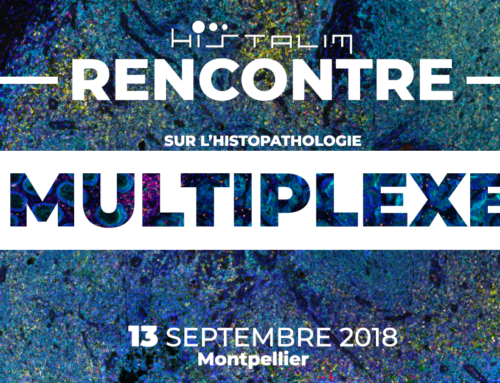 I regularly meet people who see the beauty of the images we produce at HISTALIM – CERBA RESEARCH, without understanding the immense hope that these images represent to overcome cancer. I wish to explain to all those around me today that the emotion they feel when faced with the incredible aesthetics of these images is nothing compared to the emotion we can feel when we become aware of the scientific and medical progress they represent. This image using multiplex immunohistochemistry allows us to visualize and quantify the interactions between the immune reactions that revolve around cancerous tumours. The CD3 (T cells) and CD8 (cytotoxic T cells) marker in the vicinity or infiltrated into the tumor indicate the immune activity related to the tumor. But this activity is stopped by inhibitory Checkpoint, such as PD-L1 and its PD1 ligand. Today, many proven or currently being evaluated therapeutic strategies target the PD-L1 Chek-point inhibitor to allow the immune system to release its natural action against the tumor. PD-L1 can be considered as a red light that would remain continuously blocked and create an abnormal traffic jam for the immune system, preventing it from intervening against the tumor: anti-PD-L1 therapy makes the red light disappear and releases immune traffic. To optimize the success rate of clinical trials and better identify the success factors of anti-PD-L1 therapy, HISTALIM – CERBA RESEARCH proposes to precisely quantify the expression of CD8, CD3, PD1 and PD-L1 by using this image. Visualizing, but also quantifying the combined expression of these markers in the vicinity of the tumor allows an individualised follow-up of patients receiving anti-PD-L1 therapy. But, unfortunately, anti-PD-L1 strategies have their limits: they only work partially. Indeed, other inhibiting Check-points, CTLA4, TIGIT, SIRPalpha, TIM3, Lag3… are barriers, retarders, stops, prohibited directions… which make immune circulation impossible. To remedy this, today, many Biotech companies are launching strategies based on a combination of Inhibitor Checkpoints. And, again, to better analyze the results of these clinical trials, clinical trial directors need reliable and complete data: They need a clear view of the situation for each patient, including traffic conditions and the cause of their blockages. On the image you see, you can visualize the immune activity, CD8, CD3, the PD-L1 immune check-point with its PD1 ligand, but also TIGIT which is another inhibitor check-point potentially combined with PD-L1 in a clinical trial. And behind this pretty image, the HISTALIM – CERBA RESEARCH teams are able to accurately measure the combined expression level of these markers, providing an accurate and powerful tool for monitoring the results of clinical trials in immuno-oncology. This image is therefore only the tip of the iceberg. It is beautiful, it is true, but it should above all increase the chances of success for clinical trials combining different immuno-therapies against cancer. 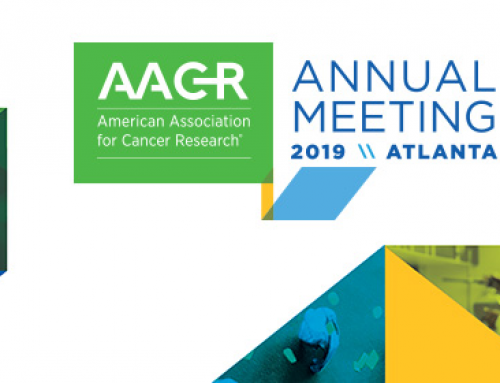 This precision medical tool is being presented this week at the AACR International Congress in Atlanta. If you would like more scientific information on this subject, please contact me.